It’s oddly fitting that sensors, some of the cheapest technologies on the market, are poised to completely redefine construction, one of the world’s largest industries. Sensors are rather simple. They attach to something and gauge temperature, humidity, light, motion, or whatever else you might want measured. Similarly, GPS technology is one-note, in that it only tells you where something is located. But when you combine these two technologies with 3D modeling in the cloud, you no longer have mere raw data. There’s now a real-time connection between a physical construction site and its digital twin in the cloud—unlocking an infinite number of opportunities for efficiency and project management. Those three things will dramatically change construction practices by ushering in connected BIM: Building Information Modeling (BIM) plus the power of the cloud. The evolution of BIM is a necessity to address the increasing challenges facing the construction industry. According to McKinsey & Company, “The construction industry is ripe for disruption,” and I couldn’t agree more. First and foremost, construction is a massive industry. It represents 6 percent of global gross domestic product (GDP) and employs about 200 million people. Its biggest challenge is that the world’s population is growing and moving to cities. Today, 3.5 billion people live in cities—by 2050, just 30 years from now, cities will need to accommodate another 2.5 billion. To address that need would mean building almost 1,000 buildings every day for the next 30 years. Unfortunately, construction is one of the least-prepared industries to address this challenge. It has barely digitized at all: The McKinsey report places construction only slightly ahead of agriculture and hunting, as only 1.2 percent of its of revenue goes toward advancing technology. Some governments are mandating BIM technology to streamline and modernize construction processes. For example, as of 2016, Level 2 BIM is mandatory for all public projects in the UK. But professional architects, engineers, and contractors weren’t waiting around for regulation before adopting BIM. Two threads are emerging: One, BIM is going to continue to be standardized. And two, many industry leaders who are currently ahead of the technology curve will work hard to stay out in front. Even if you look at the United States, where there has been no government mandate, contractors are making significant investments in BIM. According to a 2014 SmartMarket Report about BIM in construction, contractors reported that they expected to see their BIM-related work increase by 50 percent within two years. 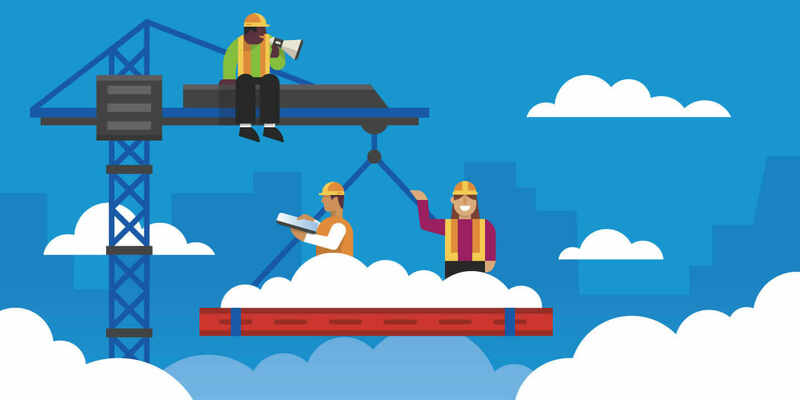 The real benefits of connected BIM in the future will be clear once people glimpse how cloud and mobile technologies enable a completely new era of collaboration. Today, construction sites still use a lot of paper to communicate. Beyond the obvious inefficiencies and huge costs, the real problem is that the moment the drawings are printed, they are already outdated. By using mobile technologies to manage drawings on construction sites—tracking and updating information continually in real time—an inherent trust develops as far as who on the team did the what, when, why, and how. Everything is tracked directly in the cloud for the entire project life cycle. Connected BIM also helps manage risk on construction projects while enabling greater efficiency and higher quality. It allows you to capture a ton of data and analyze it to optimize future projects. For example, you could collect data that uncovers project delays when electricians and plumbers are involved on projects. But if you unpack the reasons for those delays, you might realize that a plumbing delay was caused by materials not being delivered on time or by ordering the wrong materials. Or it could be that the work was done perfectly and on time, but it was finished before someone else needed to punch holes in the walls where the plumber had already finished working. And that would mean bringing the plumber back in to redo that work. A “plumbing delay” could encompass so many other factors, but with the data, you can figure out how to better schedule plumbing and electrical work so they are called in at the right time—keeping future projects on schedule. 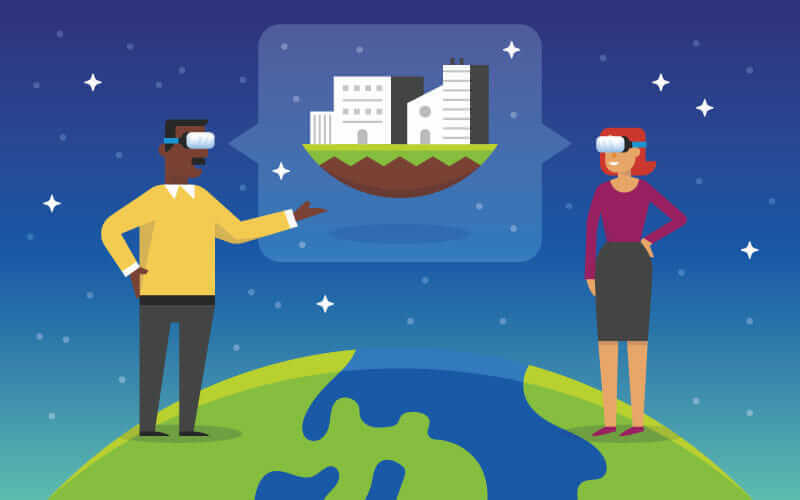 Another perk of connected BIM is that digital collaboration opens the door to virtual reality (VR), which seems like some out-there feature until you see its practical applications. Think about how process decisions and changes are currently handled via email. Now imagine you could explain what needed to be changed at a site to a construction worker in a virtual-reality environment. You and the worker could be in the same 3D environment—a fully immersive experience—seeing the same things instead of explaining what needs to be done or reading it in an email. I think these kinds of immersive VR experiences, once experienced, will quickly become the default way to communicate. But the Internet of Things (IoT) is the technology that will truly redefine and recontextualize BIM. IoT unlocks the performance potential of construction sites. 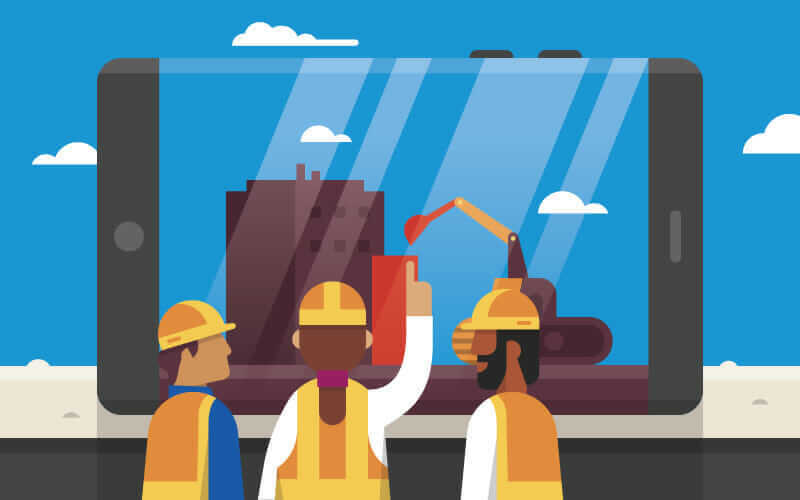 Today, there can be people, machines, and materials located onsite or offsite, but it’s hard to know how these things connect and whether they are efficient. Yet once construction sites are equipped with all kinds of sensors, it will be possible to understand where people spend their time, how machines are used, and if the materials have been delivered or installed. All this information will be captured and aggregated on a dashboard in the cloud. The Big Data can then be analyzed to start identifying trends about what’s working—or not working. Once this technology is used on one, 10, hundreds, or thousands of projects, it will be clearer to stakeholders why some projects go well and others don’t. But if you expand it beyond that, it gets even more interesting. A bunch of companies—such as Redpoint Positioning, Pillar Technologies, and Human Condition—are using sensors to capture information and show how people behave on a construction site. Human Condition understands how people carry loads or climb ladders, and it can analyze if they are maintaining proper form for these actions. Using data, it can actually predict if workers will be injured in the future, based on whether they bend too much or the wrong way too many times. And, again, if you do that across tens of thousands of construction workers in the world, it will be possible to prevent injuries from happening in the first place. When you see how this connectivity impacts every facet of a construction site—improving the efficiency, safety, and cost—it’s not even a question of whether the industry will move in this direction, only how quickly.